KoBoToolbox has a number of advanced features built in based on our open source libraries, which include useful add-ons for advanced use cases. There are many ways to use our API. For some hands-on examples, see this post. 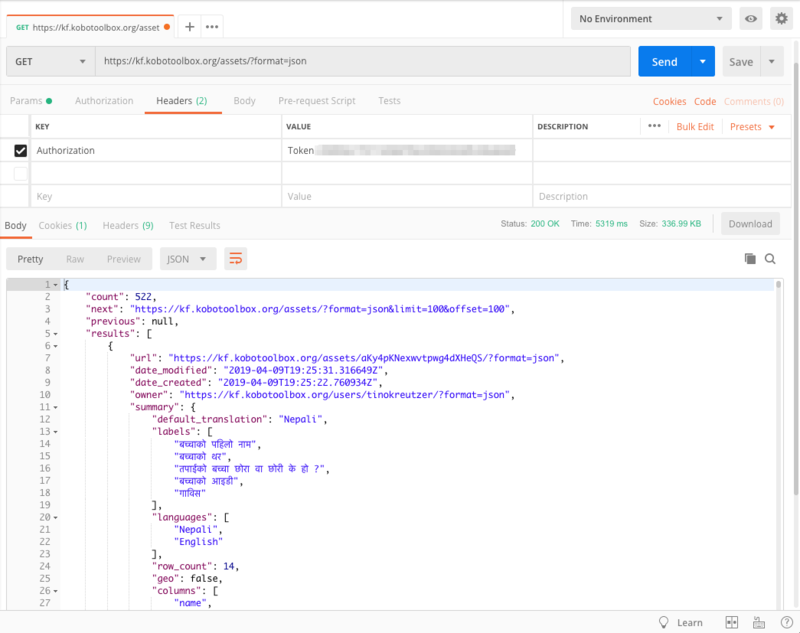 KoBoToolbox has two APIs for its primary tools, kpi and kc. Originally kc was the only api for deploying forms and retrieving data. Now, kpi is the primary API that should be used. The base URL depends on the server you are using: for most users it is https://kf.kobotoolbox.org or https://kobo.humanitarianresponse.info. Below we only use [kpi-url] to refer to this base URL. curl -X GET https://[kpi-url]/assets/?format=json -H "Authorization: Token [your_token_goes_here]"
You can find more examples in this forum post. You can link your data collected with KoBoToolbox to other servers or services you might own. 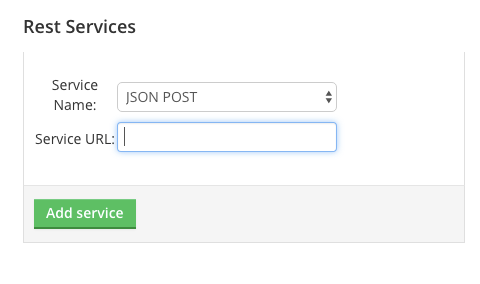 For example, enter a server URL where a json version of your data should be POSTed. For an example of how to link your project with Openfn, see this post.